The gentleman of golf: Arnold Palmer will be sorely missed. 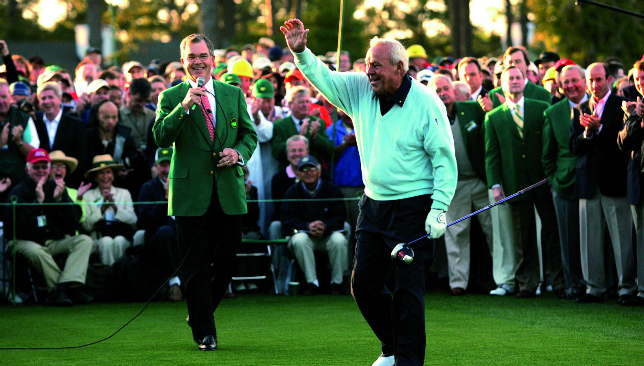 "Remember when Arnold Palmer touched your life and please don't forget why." Olympic champion Justin Rose said Wednesday he would be taking a two-month break from golf in order to fully recover from a back injury. Ryder Cup defeat by the United States last week, said in a statement. His decision means the Englishman will miss next week’s British Masters, a tournament he won in 2002. 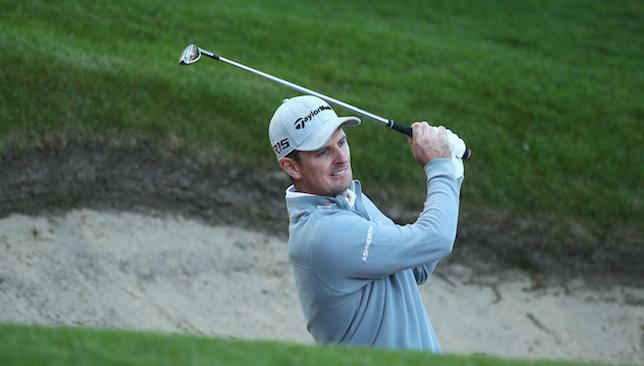 Justin Rose is set to take eight weeks off to rest and recuperate. Hopefully comes back in this type of form! “As many of you know, during the Players Championship I experienced discomfort in my back from a disc herniation and was sidelined for the following month,” former US Open champion Rose added. “I worked hard to be able to return for the US Open, but my ongoing tournament schedule, combined with heavy preparation for the Olympics, did not allow for full and proper recovery. “At this point in my career, it is important to invest in my body and this time off is crucial for me to return to peak performance. 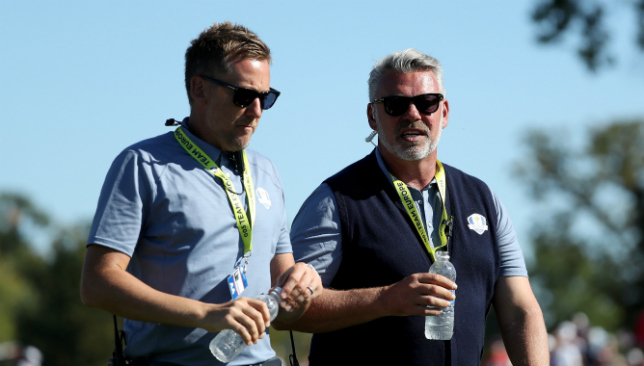 With the benefit of hindsight, it is extremely easy to point out the faults in Captain Darren Clarke as he became the first European captain to lose the Ryder Cup in eight years. However, three things led to the 17-11 defeat, and two of them were directly because of Clarke’s decision-making. The first, and the most important reason, was the way Americans started the tournament. Clarke could have done nothing as his team was whitewashed 4-0 in the morning foursomes. This was supposed to be the stronger format for the Europeans, having won 7-1 two years ago at Gleneagles. But even a time-tested pairing like Henrik Stenson and Justin Rose failed to stop the hosts. It’s always difficult to claw back from such a nightmarish start, but Clarke and his men actually did very well to come to within one point of the Americans mid-way through the second day. But it was during the Saturday fourballs that Clarke made two critical pairing mistakes. One, he persisted with his two picks – Lee Westwood and Martin Kaymer – despite the fact that both were very poor on the opening day. And secondly, he split up the successful all-Spanish pairing of Sergio Garcia and Rafael Cabrera-Bello. From a winning position, 1-up after 16, Westwood missed a four-feet putt to halve the 17th hole and then, after hitting a stunning second shot to two feet on the 18th, he missed that putt as well which would have earned a crucial half point for his close friend Clarke. Garcia and Cabrera-Bello had earlier stolen half a point in the Saturday morning foursomes, coming back from four-down with six holes to play. The duo worked brilliantly together and there really could not have been any valid reason to separate them. But Clarke did, and Garcia and Kaymer lost the fourballs to Mickelson and Kuchar. Clarke’s immense faith in his wildcards Westwood and Kaymer may have backfired on him, but in his third choice, Thomas Pieters, he may have discovered a Ryder Cup legend in the making. The Belgian, just 24 years in age, was cool as a cucumber as he went about his business in near hostile environment. He even sushed the crowd a couple of times. Of course, it helped that he was paired with McIlroy, but there were many holes in which even the multiple major champion had to depend on Pieters to bail him out. In between all this, there was a beautiful moment that captured the essence of this tournament, and sport in general. On the eight hole on Sunday, Mcllroy was involved in a massive battle in the opening match against Patrick Reed. The two expressive players were halving holes with one outrageous birdie after another. On the eighth, McIlroy drained a monster putt that seemed to have started from another time zone. That was when he went into the I-can’t-hear-you celebration. Reed replied by making his birdie putt from the fringe, and then wagged his fingers at McIlroy. For a moment it felt that things might get ugly. But as Reed walked off the green, the two players hugged each other, clearly in awe of the quality of shots of the other player. It was a beautiful moment. And it really was Ryder Cup at its best.